On a cold winters day 10 intrigued students gathered together in my warm studio overlooking Ancoats to discover what they could learn about Matisse and The Fauves art movement. This was the 2nd short workshop in my series of 3, about the Modern Masters who heralded the era of New Modernism in art in the late 19th and early 20th centuries. Danielle thought the workshop was “Excellent, thorough and well presented”. 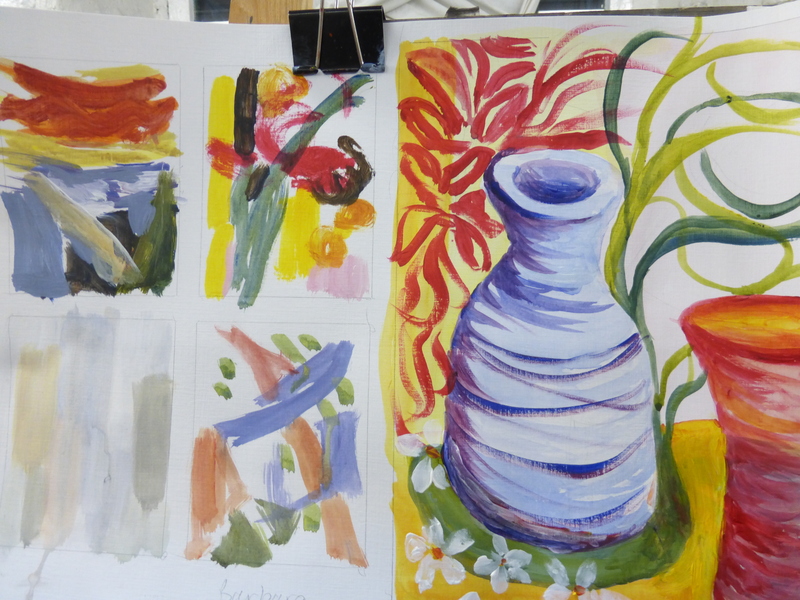 She learnt “how to express emotion and feelings in paint” and found the tutor (me!) really personable and calm, creative and offered good critique” to help her learn and progress. These workshops run on Tuesday evenings 3 times a year on those months with 5 weeks.